All too often we read about the laziness, the lethargy, the lack of motivation among young people. While those of us with the good fortune of working for PCSC see a very different scenario, it's my good fortune to share the stories with you. On Saturday, long before many teens (and let's be honest - their parents!) 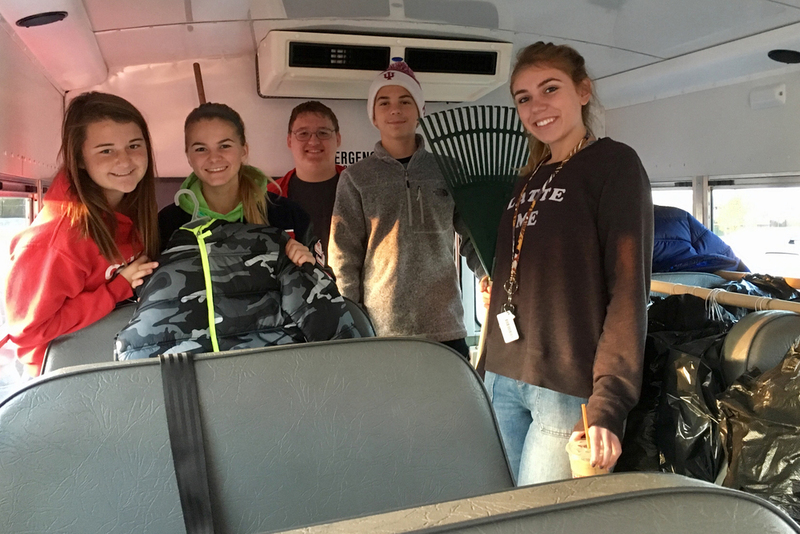 were up and about, members of the PHS Octagon Club (associated with Optimist International) boarded a mini bus with their club sponsors, and headed into several neighborhoods served by PCSC schools. The reason for the bus? Coats. Lots of children's coats. 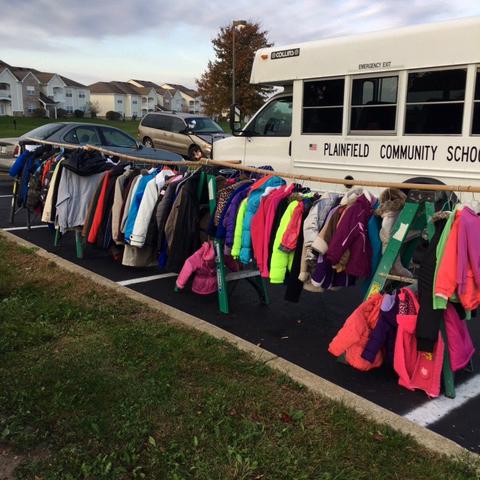 Saturday's coat distribution came at the end of several weeks of coat drives at all Plainfield schools. And while coat drives are nothing new, the CoatMobile, as the bus was nicknamed, was a new venture. Taking coats to families proved to be a popular effort. 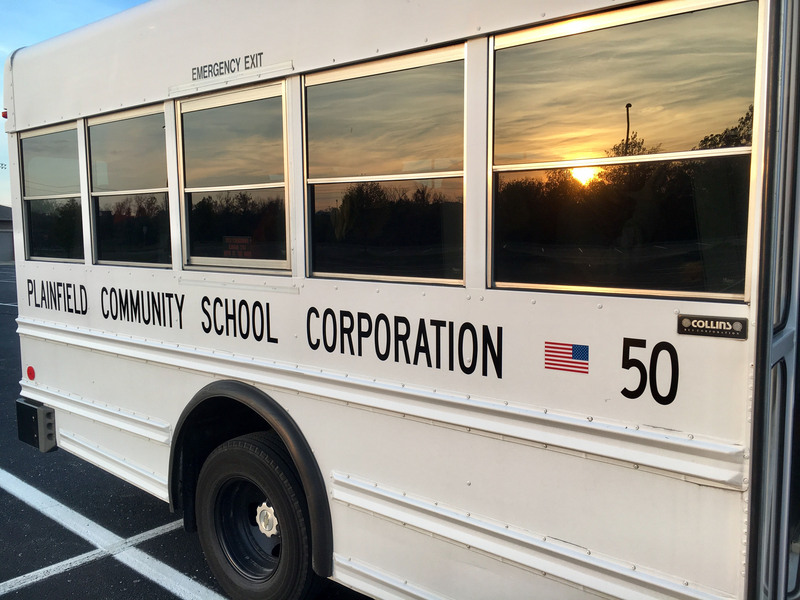 Home School Advisors at the elementary schools notified parents who they thought might be interested in the CoatMobile about the project, and made sure they knew when it would be in their neighborhood. 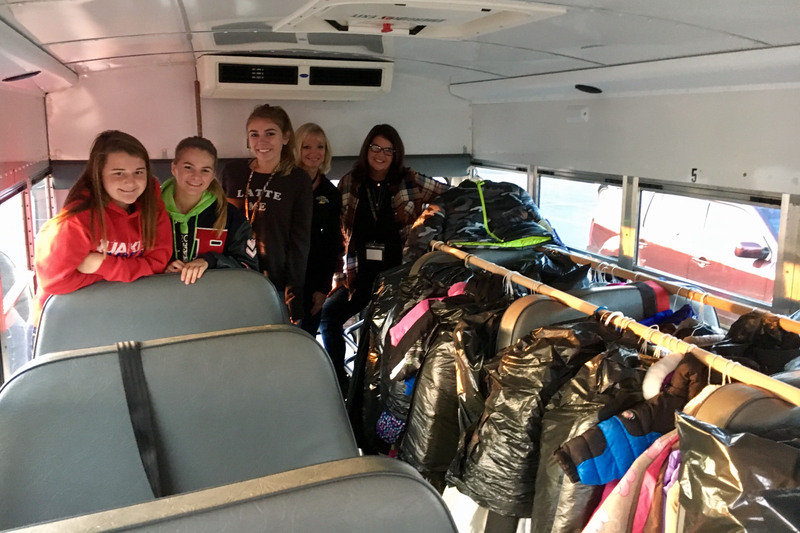 Once it arrived, students moved the coats off the bus onto portable racks, with coats arranged by gender and size. Children were then able to 'shop' for their new coat. 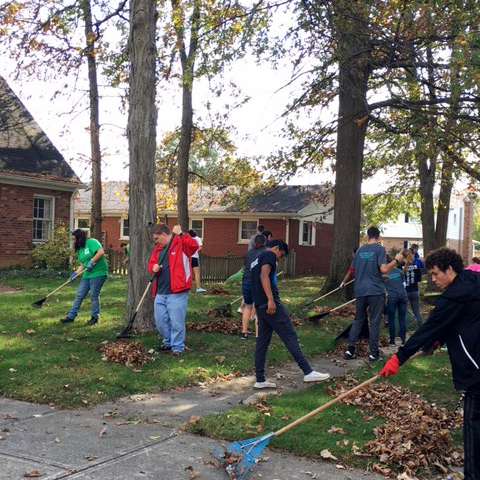 Jade Stone, PHS senior, is president of Octagon Club, and was very involved in this effort. "I was pleasantly surprised at how well it went, especially for our first year," she said. "I hope it grows in the future." But when the coats were distributed, the teens didn't go home. Joined by even more members of the club, they grabbed rakes and made several "Rake and Run" stops, cleaning up yards of people whose names had been anonymously submitted. "We had so much fun working together and surprising people," Stone added. "It became a great time of fellowship for our group, yet a chance to show compassion and a willingness to serve others." Hard work. Volunteerism. Fellowship. Helping others. And our future leaders. #ThingsAren’tReallySoBad.